On a night when the frontrunner was notably absent, five of the major candidates for governor participated on Friday in what organizers billed as the first Asian-Pacific Islander gubernatorial debate. The event in Pasadena amounted to a flexing of electoral muscle for groups representing Asians, the fastest-growing racial group in the United States. State Treasurer John Chiang, whose parents are immigrants from Taiwan, pitched himself as the strongest advocate for the Asian community. “We have a profound opportunity to send a powerful signal to those in Sacramento that the Asian-Americans count,” Chiang said. Chiang was greeted by loud applause and appeared to be a crowd favorite when he came on stage. But he has been trailing in recent polls. A Berkeley Institute of Governmental Studies poll released Thursday showed Chiang drawing 7 percent support among those surveyed, mirroring a Public Policy Institute of California poll released on April 11. The frontrunner in the race, Lt. Governor Gavin Newsom, was invited to the API debate but did not attend the event — a move that frustrated event organizers and drew boos from the crowd. A spokesman for Newsom’s campaign said he has attended eight debates so far, and plans to attend a televised debate in Silicon Valley on May 8 ahead of the June 5 primary. The API debate organizers left an empty lectern on stage to underscore Newsom’s absence. The event was hosted by the Center for Asian Americans United for Self-Empowerment and dozens of community partners. Newsom’s closest Democratic rival, former Los Angeles Mayor Antonio Villaraigosa, chided Newsom for failing to show up and praised the other candidates who did. “We’ve been on the campaign trail for a very long time. We’ve had our debates and our differences. 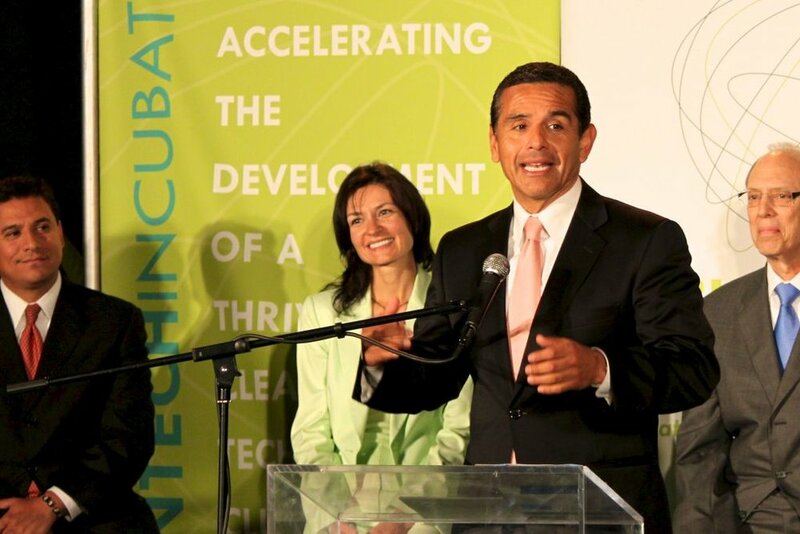 But the fact that you show up says something, it says that you care,” Villaraigosa said. The candidates – who’ve gone through numerous debates during the run-up to the primary — displayed relatively low energy compared to past debates. Republicans John Cox and Travis Allen were the only two candidates to get into significant verbal sparring. Chiang arrived on a crutch, which his communications director Fabien Levy said was due to a sprained ankle. Former state Superintendent of Public Instruction Delaine Eastin nearly lost her voice and coughed repeatedly during the start of the debate. Several of the candidates repeated lines they’ve used during previous debates. Eastin, for example, got a small round of applause for a previously used dig at climate change deniers as she discussed her views on the environment. “I believe in something called science,” she said. The candidates responded to several specific questions about issues impacting the Asian Pacific Islander community. In response to one about the role of improving language diversity across government, Democrats and Republicans parted company. Allen advocated for a renewed emphasis on ensuring all Californians learn and become proficient in English. “English unites us; language does not divide us,” he said. But Chiang disagreed, appealing directly to the audience. Voters will narrow the field for governor in the primary, with the top two voter-getters, regardless of party, advancing to the runoff in November.